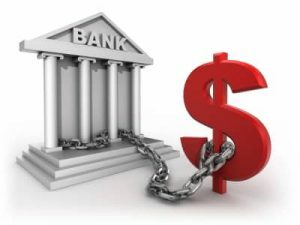 Credit Union Overdraft Fees: Criminal Interest in Disguise? Are Overdraft Fees considered a form of “interest” under the Criminal Code? In Bodnar v. Community Savings Credit Union, 2017 BCSC 918, Madam Justice Gray was tasked with determining whether a credit union overdraft charge in excess of $5 is considered “ interest” under s. 347 of the Criminal Code. Section 347 of the Criminal Code provides that anyone who enters into an agreement to receive interest at a criminal rate, aka one that exceeds sixty per cent on the credit advanced under an agreement or arrangement is guilty of an offence and subject to a $25,000 fine or imprisonment. The term “interest” in this section of the Criminal Code excludes overdraft charges that do not exceed $5. The plaintiff’s sought a declaration that various overdraft charges constituted “interest” under this section. Bodnar began as a class action law suit against six BC Credit unions over various overdraft charges. Between December 3, 200 and February 24, 2003, one of the credit unions charged an overdraft fee of $15.00 for each transaction which would cause or increase any overdraft and an NSF fee $20.00. Another credit union charged $15.00 for each overdraft charge and an NSF fee of $10.00. The question for Madam Justice Gray was whether these charges were considered “interest” for the purposes of the criminal code. The Credit Unions argued that the relationship between the Credit Unions and their members was not a creditor-debtor relationship, but was essentially the relationship of a service provider and customer. The possibility of an overdraft was not a core element in that relationship, but rather was only incidental. Madam Justice Gray found that when a Credit Union creates or increases a member’s overdraft it is advancing credit to a member and the associated fees with that overdraft are interest unless they are $5 or less. Because the overdraft fees were in excess of $5, she found that the entirety of the Assessment Fees, Daily Interest Fees, and Daily Overdraft Fees relating to an advance of credit which exceed $5.00 constitute “interest”. Madam Justice Gray held that the overdraft charge in excess of $5 constituted interest for s. 347 of the Criminal Code. Excellent website you have here but I was curious about if you knew of any community forums that cover the same topics talked about here? I’d really love to be a part of group where I can get feedback from other knowledgeable people that share the same interest. If you have any recommendations, please let me know. Bless you!